AMResorts has announced the signing of Breathless Cancun Resort & Spa, the fourth Breathless-branded property in Mexico. The cornerstone of Apple Leisure Group’s (ALG) portfolio, this new deal reaffirms the company’s commitment to expanding its presence in the country, where it operates more than 30 resorts across seven award-winning brands. Alex Zozaya, CEO of ALG, was joined at the customary first stone placement ceremony by several prominent dignitaries, including Carlos Joaquín Gonzaléz, Governor of the State of Quintana Roo; Mara Lezama, Mayor of Benito Juárez; Marisol Venegas, Minister of Tourism of the State of Quintana Roo; and Dario Flota, General Director of Quintana Roo’s Tourism Board. “Despite the challenges that continue to impact the tourism industry in Mexico, ALG maintains its commitment to promote and bring millions of travellers to Cancun and other destinations in the country,” said Zozaya. “We remain loyal to our goal of attracting investment for new projects that will create jobs and economic benefits in these regions and the Breathless Cancun Resort & Spa is a great example of this. 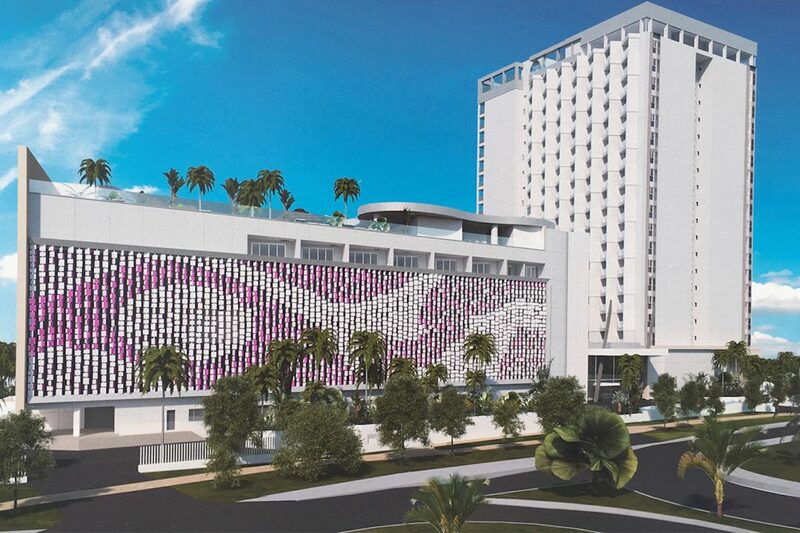 Located on the vibrant Cancun Hotel Zone, construction of Breathless Cancun Resort & Spa has officially started. Its opening date is slated for summer 2021. The resort will offer the brand’s now-iconic Unlimited-Luxury vacation concept, where everything is included, and all without wristbands. The company’s Unlimited Vacation Club is a prominent RCI affiliate. Javier Coll, ALG’s executive vice president and chief strategy officer, said: “The potential of Cancun is tremendous, as the area continues to evolve to meet demand for more luxury accommodations and offerings. The resort is the latest addition to the Breathless Resorts & Spa brand collection, which includes properties in Mexico, Dominican Republic and Jamaica. Most recently, ALG announced the signing of Breathless Tulum Resort & Spa, which is set to open in 2021. The brand’s growth will be supported by ALG’s strong distribution to the region, which brings more than 2.3 million passengers annually to the area.